My iPhone Won't Turn Off! Here's The Real Fix. You are at:Home»iPhone»Power»My iPhone Won’t Turn Off! Here’s The Real Fix. Your iPhone won’t turn off and you’re not sure why it’s happening. Maybe you’re trying to disconnect from the outside world for a few minutes, or you’re trying to save a lot of battery life. 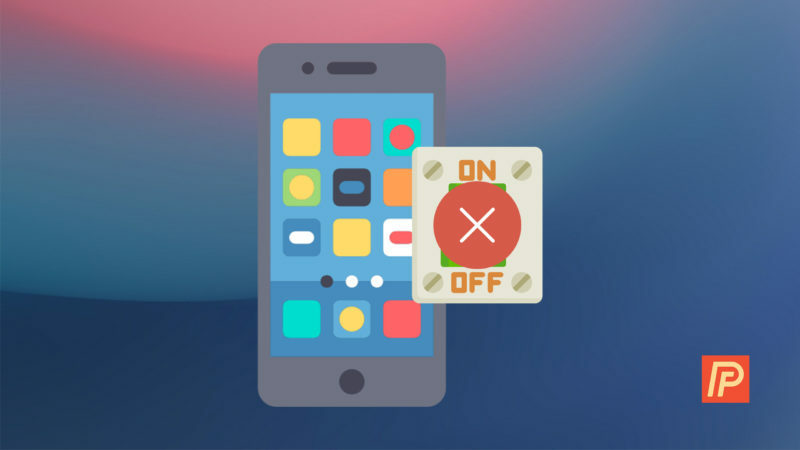 In this article, I’ll explain why your iPhone won’t turn off and how to fix the powering off problem for good. Why Won’t My iPhone Turn Off? Usually, your iPhone won’t turn off because there is either a problem with the software on your iPhone or the screen or power button isn’t working correctly. Whatever the case, this handy guide will walk you through how to fix an iPhone that won’t turn off. By the end, you’ll know how to work around an unresponsive iPhone screen, how to turn off your iPhone if the power button won’t work, and repair options if you need professional help. First things first. To turn off your iPhone, you hold down the Sleep / Wake button (what most people refer to as the power button). On newer iPhones, this button is on the right-hand side of the device, toward the top. Just pressing the Sleep/Wake button briefly isn’t enough to turn off your iPhone. You have to press and hold it for a few seconds to start the turn-off process. Once you hold the button for a few seconds and let go, the screen will change. It will say “slide to power off.” That’s your cue to touch the red power icon and swipe it with your finger from the left to the right side of the screen. Ideally, your iPhone will turn off when you do this. If it doesn’t, and you’re scratching your head, keep reading. Pro tip: If you see the “slide to power off” wording on your screen, but your screen won’t respond, try some of the tricks from my article about what to do when your iPhone touch screen isn’t working. The next step is a hard reset. To do this, hold down the Sleep/Wake button (the power button) and the Home button at the same time. Press and hold these two buttons together until the Apple logo appears on your iPhone’s display. You may need to press both buttons for as long as 20 seconds, so be patient! Performing a hard reset on an iPhone 7 or 7 Plus is slightly different. 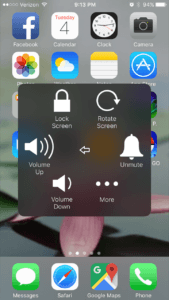 To hard reset an iPhone 7 or 7 Plus, press and hold the power button and the volume down button at the same time until the Apple logo appears on the screen. A hard reset can help restart software that may be working improperly. I’d like to stress that this is not the right way to turn off your iPhone every time. If the normal power off option works, use that. A hard reset can interrupt software and actually cause more problems if you do it for no reason. If the power button on your iPhone doesn’t work, you can’t do step 1 or 2. Fortunately, you can turn off your iPhone using just your software that’s built into Settings app. How Do I Turn Off My iPhone When The Power Button Doesn’t Work? 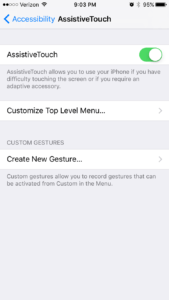 AssistiveTouch is a feature that allows you to control your iPhone entirely from the screen. This is handy if you have trouble with your iPhone’s buttons or are physically unable to use them. To access AssistiveTouch, go to Settings -> General -> Accessibility -> AssistiveTouch. Tap the toggle to the right side of the AssistiveTouch option to turn on the feature and turn the toggle green. A light gray square should appear with a lighter colored circle in the middle. This is your AssistiveTouch menu.Tap the square to open it. How Do I Turn My iPhone Back On If The Power Button Doesn’t Work? To turn your iPhone back on if the power doesn’t work, plug it into power. The Apple logo will appear on your screen and you’ll be able to use your iPhone as usual. Sometimes, a software or firmware problem isn’t so easy to fix. If you’ve tried the soft reset method and your iPhone still won’t turn off, it’s time to try using iTunes to reset your iPhone’s software. To do this, plug your iPhone into a computer that has iTunes installed. Choose your iPhone when it pops up. First, click Back Up Now to back up your iPhone to your computer, and then select Restore Backup. This will take you to a list of backups to select from. Choose the one you just made. Follow the iTunes prompts to restore your iPhone to its previous configuration. When you’re done, unplug your iPhone and test it. You should be able to turn off your iPhone now. If you have trouble restoring your iPhone, try doing a DFU restore. Our guide will show you how to put your iPhone into DFU mode and the best way to restore it. If you’ve tried doing a soft reset and restoring your iPhone with iTunes and your iPhone still won’t turn off, something more serious may be wrong with your iPhone. If you wanted to turn off your iPhone to keep it silent, you can always turn off the sound on your iPhone with the Ring / Silent switch on the upper left-hand side of the phone. That way, you won’t hear any alerts. Or if you want to stop getting emails, calls, and texts altogether — even if it’s just on the screen — you can turn on Airplane Mode. It’s the first option at the top of the page under Settings. Just remember that you won’t get any incoming calls or messages or be able to make outbound ones with your iPhone in Airplane Mode. 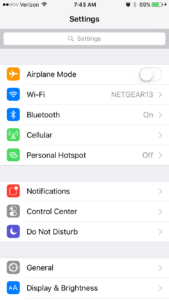 You have to turn Airplane Mode off again to be able to send or receive calls or messages. Sometimes, the physical components (called hardware) of your iPhone can simply stop working. 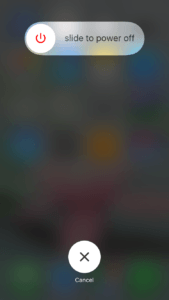 When this happens, getting your iPhone replaced or fixed is a good option. If your iPhone is under warranty, Apple (or another company such as a store or your cellular service provider if you purchased a warranty through them) may offer to replace your iPhone for you. So, it pays to check on this first. For iPhones with broken buttons that aren’t covered by a warranty, using a repair service is one way to keep your iPhone and just get the broken hardware replaced. Apple offers repairs for a fee and so do several third-parties, including local repair shops and send-away online services. Repairing your iPhone can cost significantly less than purchasing a new one. Check out our article about finding iPhone repair near me and online for more tips about choosing the best repair option. I hope you never find yourself in this position, but I’ll admit to having to look for options when my iPhone won’t turn off, too. There’s always a solution. Have you struggled with an iPhone that wouldn’t turn off? Did our guide help? Don’t forget to tell your friends about us, and always remember to Payette Forward! Next Article How Do I Change The Feedback On My iPhone 7’s Home Button? Here’s The Fix.